Thanks to thoughtfully applied audio processing, radio has traditionally sounded “better” than the original popular songs that are a mainstay of broadcast programming. Yes, there are many exceptions, and over-processing or a poor audio path can often drive listeners away. However, now we have a chance to get it more right than ever before when presenting consistently great quality audio streams to smart speaker listeners. When considering audio processing for streaming to smart speakers, the top-view parameters are similar to any other processing considerations. Process—or “condition”—the audio to best suit the transmission medium. Process the audio for the delivery speaker(s) and the predominant listening environment. To reach smart speakers, our transmission medium is bitrate-reduced audio streaming via the Public Internet. Typical bitrates will most likely be between 32 kbps and 256 kbps for streaming audio. The most popular audio encoding algorithms are MP3 and various members of the AAC family, such as AAC-LC, HE-AAC, and HE-AAC v2. Decoders for these algorithms are now included with virtually all web browsers and device operating systems; there’s almost never anything extra to download to receive these coded streams. MP3, AAC, and some other coding algorithms share a common trait—they use one or more psychoacoustic models to decide how best to reduce the bitrate required to deliver audio from end to end. It’s this psychoacoustic aspect to modern audio encoders that demands we pay attention to the audio we’re asking them to encode to a lower bitrate. Much has been written on the topic of encoding for streaming already. There’s also a chapter entitled, “Audio Processing for Encoding,” that’s part of “Streaming University”—a complete video course on audio streaming technologies. “One important scenario is listening at a background audio level. Any pumping or multi-band inconsistency is especially annoying to hear at low listening levels. This is another reason why Undo and Declipping not only clean up over-processed source audio, but lets our processor provide a pleasing, long-term listening experience,” Claesson adds. Using an Omnia.7 or an Omnia.9 audio processor—or using the Omnia.9 processing available in the Z/IPStream 9X/2 or the Z/IPStream R/2 with Omnia.9 processing—we can see history graphs of loudness at the processor Input and Output. Below we see the unprocessed audio on the left over a 15-minute period. On the right is the same period’s processed output. The soft ballad at the left of each graph was pleasingly processed for overall loudness, but one can see the brief excursions of soft and loud parts during this dramatic song. The following two songs were rhythmic and brought up consistently to a good level while maintaining a dynamic quality to the vocals and rhythm. One of the benefits of adjusting audio processing for smart speakers is the relatively small number of smart speaker models available at this time. Amazon offers about five different models including the Echo Dot, Echo 2, and the Echo Show. 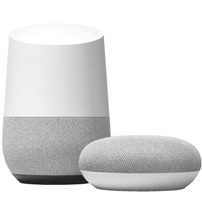 Google offers three basic models—the Google Home, Google Home Mini, and the new Google Home Max. Apple offers only the HomePod. 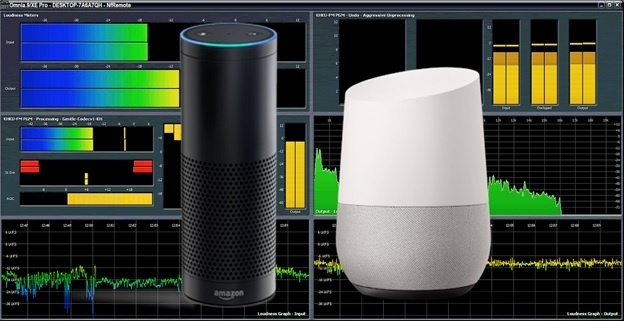 The vast majority of market share in the smart speaker category is claimed by Amazon and Google with about 89 percent of the world smart speaker market. This relatively small number of models in common use suggests that most listeners will experience similar results from a given audio processing setup. In other words, some consistency in user experience is likely—at least more likely than on consumer PC speakers where the range is from barely acceptable to downright awful. Gould advises to listen to your audio processing on the most typical smart speaker models. 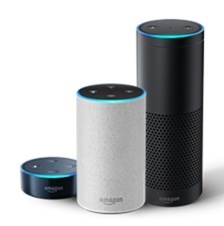 This will include both the original Amazon Echo (1st generation) and its successor, the Amazon Echo (2nd generation), as well as the Echo Dot. The Google Home Mini is the most widely deployed in Google’s stable. The biggest difference in the smaller (Dot and Mini) models is their lack of bass response. Their larger stablemates (the Amazon Echo and Google Home) have larger speakers and bass ports. Use Undo and/or Declipping functions, if available, to restore dynamics to over-processed source material. Process your audio for "lift," long-term loudness, and spectral consistency. Do not use any audio clipping. For lower bitrate encoding—under 64 kbps for MP3 and less than 48 kbps for AAC family algorithms—reduce the high frequencies, or at least reduce their density. Certainly don’t boost or over-process high frequencies. Keep the long-term AGC level up, but allow the audio to “bounce” in the multi-band processors. Keep long-term loudness up using a smart AGC for a consistent volume in typical listening environments. Short-term, allow audio peaks to punch through for a sense of dynamic range and liveliness, and staying clear of any fatiguing character. Don’t over-boost the lows or the highs. Smart speaker designers have already contoured the frequency response to be as pleasing and effective as possible within their devices. Listen to your stream(s) on several popular smart speakers to make sure you’re not over-processing the instantaneous dynamics, and that you’re not over-boosting bass or treble, causing the audio processing in (some) smart speakers to reduce your stream’s volume. 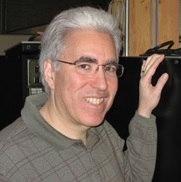 Kirk A. Harnack is a 40 year veteran of radio and audio engineering practice. 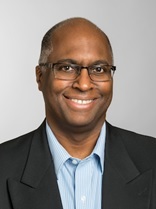 His contract engineering business and part-ownership in over 20 radio stations beginning in 1993 have led and informed his journey toward his current position at the Telos Alliance. Kirk regularly facilitates large broadcast projects by connecting equipment capabilities, innovative implementations, and broadcasters’ operational requirements.